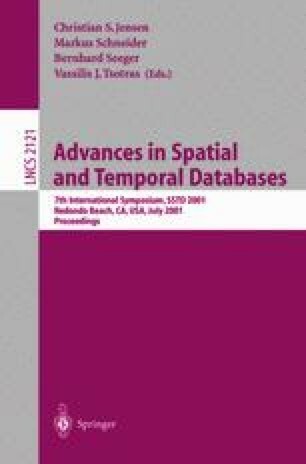 The development of spatiotemporal database systems is primarily motivated by applications tracking and presenting mobile objects. Another important trend is the visualization and processing of spatial data using XML-based representations. Such representations will be required by Internet applications as well as by location-based mobile applications. In this paper, an architecture for supporting queries on XML-represented moving objects is presented. An important requirement of applications using such an architecture is to be kept informed about new, relocated, or removed objects fulfilling a given query condition. Consequently, the spatiotemporal database system must trigger its clients by transmitting the required information about the relevant updates. Such queries are called continuous queries. For processing continuous queries, we have to reduce the volume and frequency of transmissions to the clients. In order to achieve this objective, parameters are defined, which model technical restrictions as well as the interest of a client in a distinct update operation. However, delaying or even not transmitting update operations to a client may decrease the quality of the query result. Therefore, measures for the quality of a query result are required.